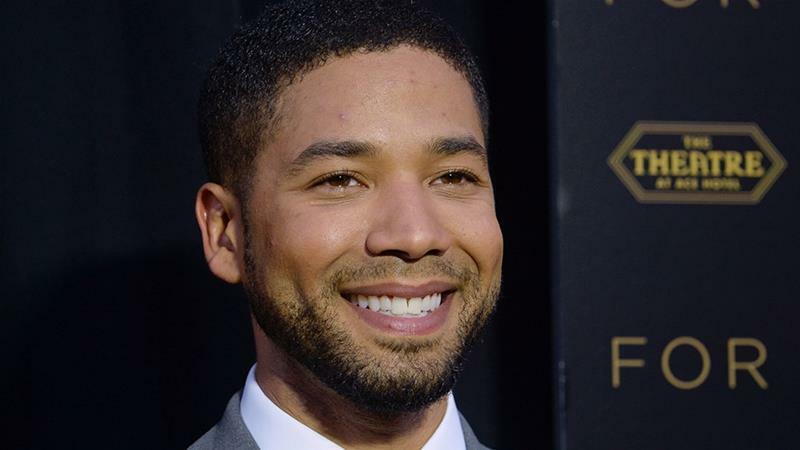 Authorities drop charges, but say they still believe Smollett lied about being a victim of a racist and anti-gay attack. Prosecutors on Tuesday dropped all charges against actor Jussie Smollett in an astonishing reversal that the “Empire” actor called vindication, but that the Chicago mayor angrily dismissed as a “whitewash” of allegations that Smollett lied about being the target of a racist, anti-gay attack. Authorities said they still believe Smollett concocted the attack, and they offered little explanation for the decision to abandon the case barely five weeks after charges were filed. In return for the dismissal, Smollett agreed to do community service and to forfeit the $10,000 he paid to get out of jail. The mayor and police chief blasted the move and stood by the investigation that concluded Smollett staged a hoax. Smollett’s attorneys said his record was “wiped clean” of the 16 felony counts related to making a false report that he was assaulted by two men. The actor insisted that he had “been truthful and consistent on every single level since day one”. “I would not be my mother’s son if I was capable of one drop of what I was being accused of,” he told reporters after a court hearing. He thanked the state of Illinois “for attempting to do what’s right”. In a statement, a spokeswoman for the Cook County prosecutors’ office said the dismissal came “after reviewing all of the facts and circumstances of the case”. Tandra Simonton called it “a just disposition and appropriate resolution” but also said it not an exoneration. Smollett was accused of falsely reporting that he was attacked early in the morning on January 29 in downtown Chicago. Authorities alleged that Smollett, who is black and gay, knew the men and arranged for them to pretend to attack him. Investigators said he made the report because he was unhappy with his pay on “Empire” and believed it would promote his career. The actor plays Jamal Lyon on the hit Fox TV show, which follows a black family as they navigate the ups and downs of the recording industry. He reported that he was assaulted on his way home from a sandwich shop. Smollett said two masked men shouted racial and anti-gay slurs, poured bleach on him, beat him and looped a rope around his neck. He claimed they shouted, “This is MAGA country” – a reference to US President Donald Trump‘s “Make America Great Again” campaign slogan. The men are brothers Abimbola “Abel” and Olabinjo “Ola” Osundairo, and one of them had worked on “Empire”. A lawyer for the brothers said they agreed to help Smollett because of their friendship with him and the sense that he was helping their careers. Before the attack, police said, Smollett sent a letter that threatened him to the Chicago studio where “Empire” is shot. The FBI, which is investigating that letter, has declined to comment.